: I was 11 when someone brought a photo of him to school. One look and I was hooked. When I found out he sang as well I went to our local record shop, where you could listen in booths — before buying, and listened to Heartbreak Hotel, Don't Be Cruel and All Shook Up. That was it !!! : Initially his voice and his looks. In the U.K we only had the records and the magazine picures — no T.V. performances like The Ed Sullivan Show etc. I was 14 when I was allowed to see the film Loving You — oh wow — in the flesh (or on film) he was terrific. Nearly 50 years later it all still gives me a buzz. "My Message to Elvis": My Message to Elvis would be - Thanks for being such a big part of my life, thanks for being there for me, through your music etc, when I've been sad, happy or needed someone and a BIG, BIG thank you for all the pleasure you have given me and continue to give me. : Favourite films 'King Creole' and 'The Trouble With Girls'. Favourite song has always been'A Fool Such As I', followed by 'Hurt', 'Thats When Your Heartaches Begin' and 'The Wonder Of You'. : King Creole because Elvis really showed his acting potential, The Trouble With Girls because it makes me laugh. Song 'A Fool Such as I' — I can't explain it — it is just one of his songs that always gives me a thrill. : Apart from his mother, always a special sort of love, I believe he obviously loved his daughter but also Priscilla still. : I was at home with my husband and children when 'News at 10'(English TV prog) announced they had rumours of his death and were waiting for confirmation which came through after about 10 minutes. During that very long ten minutes I had phoned my cousin (also an Elvis Fan) and we sat on the phone to each other until confirmation was given out. ( My cousin and I had been fortunate to go to Las Vegas only 3 years before (1974) and had seen Elvis 6 times.) August 16th 1977 was an unforgetable night, I personally will never forget the emotions. : This is a difficult one for me to answer having had 'The Man' in my life for so long. Two of my grandchilden love him and I hope it is not just through my influence. But mainly I think it is because of his music which has certainly stood the test of time. Also because of the Icon he was. 10. 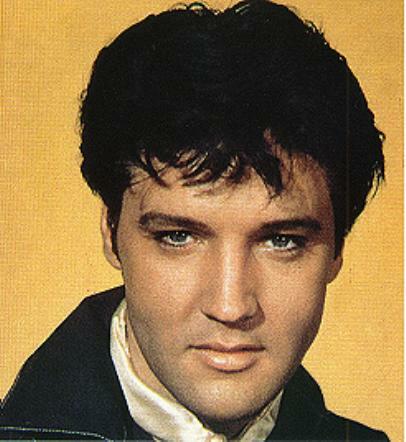 How would you rate our Elvis Presley Biography site? 11. Do you have any suggestions on how we can improve this site for Elvis's fans? : Having looke it at you seem to have covere all the bases. Personally I have no complaints. Well Done ! Thank you for sharing your feelings and memories with us on our survey. What a great experience to of seen Elvis. Next month I am going to Melbourne (Australia) to see his concert, I am so excited. The painful day we all lost Elvis was absolutely an unbelievable nightmare; he is an inspiration to us all.